Today is a great day! We're at the beach as a family, the sky is blue and it's one of my all time favorite places. 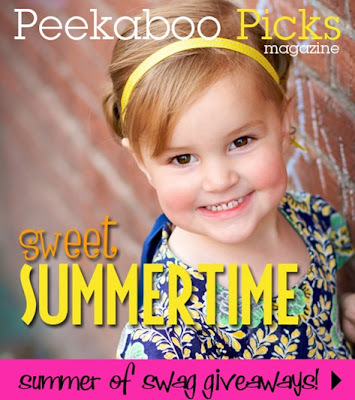 Kelly from just spotted is stopping by for a few days, her posts are full of great finds and ideas so make sure to give her a warm welcome, and most exciting of all (for me anyway) Stella is the cover of online magazine peekaboo picks, and they're featuring an interview with yours truly. Stop by and check it out. what a doll she is! how exciting! enjoy your day in the sun! Very cool! That is super exciting! Cool Britt! Great interview...GREAT picture!